Add some color and style to your life! 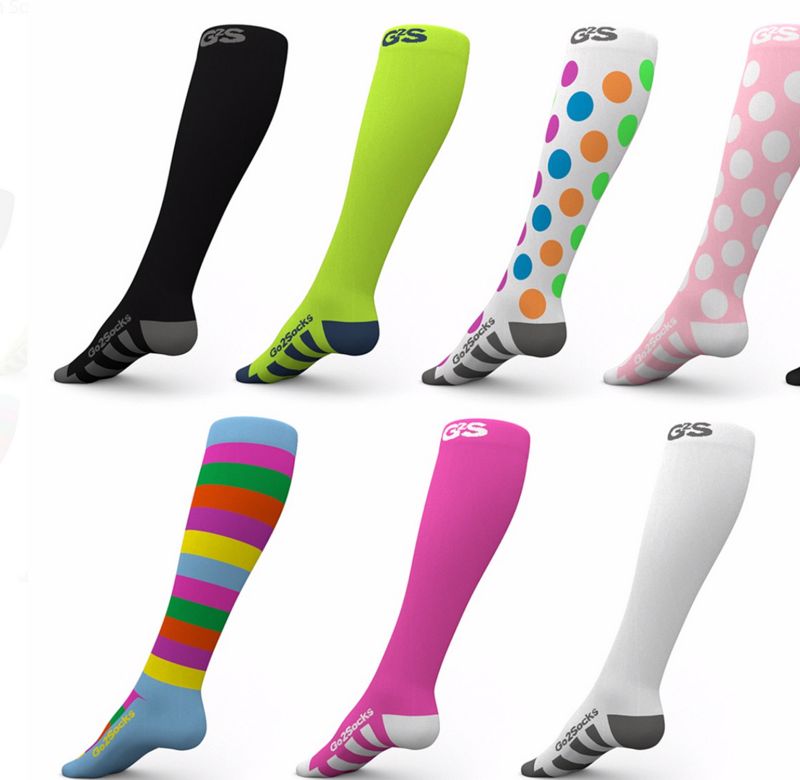 Polka dots, stripes, argyles, animal prints, and of course, solid colors…Go2 has a wide selection of compression socks to match whatever mood you are in. Their compression socks have a graduated compression, meaning that the compression is strongest at the ankle and gets lighter as you go up the leg. Just right amount for improving blood circulation and helping to recovery faster after your TrailblazerGirl adventures. There’s extra padding on the soles of your feet for added comfort, and they are made of a blended nylon and silver that fights bacteria, zaps odors and can be machine washed. Variation in compression range from 16-22 mmHg for the Elite Collection and 15-20 for the Fashion socks to 20-30 mmHg for the Sport Collection. Whether you use them as a post-recovery aid, preventing DVT during travel, or you’re just on your feet all day, the compression socks from Go2 will meet your needs with fun and style!